Your predominant psychological traits is: Intellectuality. You enjoy reading, engaging with interesting people, and carrying conversations to a higher level. Your imagination is brilliant, and can push you to high academic achievement.You’re always full of ideas and you don’t mind having those ideas challenged. You are interested in scholarly quests - you find common-sense rewarding. Moreover, people who score this high believe that personal fulfillment is more important than financial reward. Are we spot on? SHARE your scorer with every American you know. 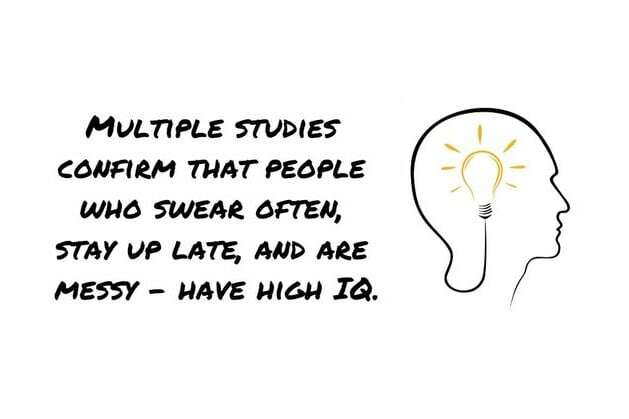 You don't have a high IQ score. How disappointed are you really?